Whenever we take a new cellular connection (I’m taking especially about prepaid connections) we fill the CAF form where we find space to fill email address and alternate contact details too. Many a times I wondered if these are really used by operators and eagerly filled the email column expecting some sort of communication via email from operators. But in vain these haven’t been effectively used may be for different reasons. First the data collected through CAF forms should be correctly fed into systems using what so ever ways operators prefer it doing manually or via OCR. We have noticed an Operator now a days constantly sending sms to Customers asking them to update Email and alternate Contact details via SMS a toll free number. Are these details collected really used to communicate with user? 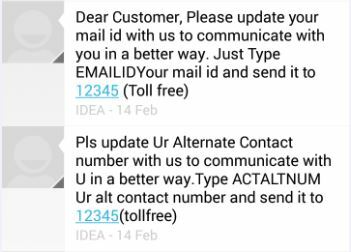 What I feel is Idea Cellular in a way or other went a step ahead and started using the email address collected from users for communication purposes. 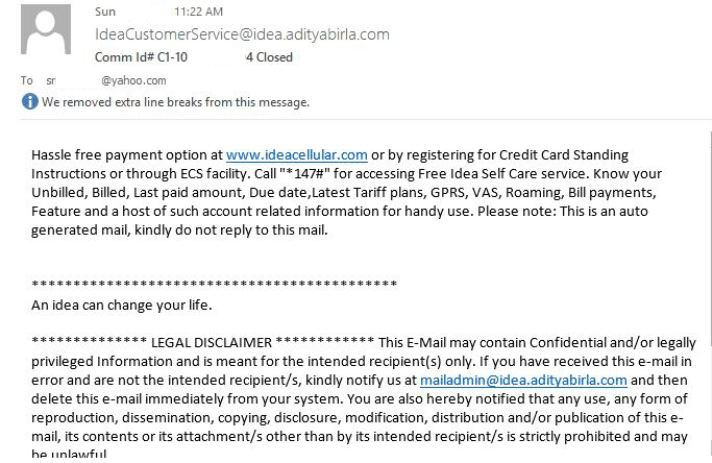 I have raised a complaint with Idea cellular some time back and to my surprise the closure of the complaint is intimated via an email which I never revealed at the time of raising a complaint. Cool right? This shows that at least one operator has really started using customer’s data collected for some information purposes. 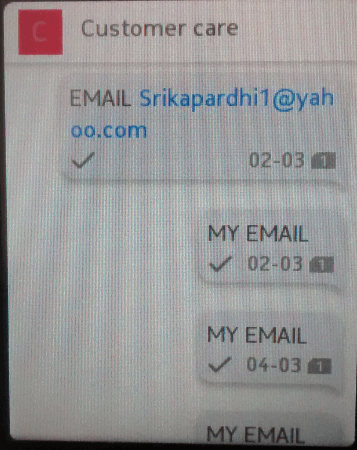 On the other hand we have Vodafone as well, which collects and stores user’s email well but I have never come across any real incident which they have used that into action for communication! 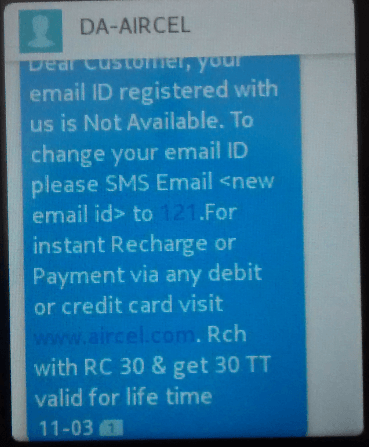 We have one more Operator Aircel, this article is mainly intended to highlight the way Aircel is asking users update their email details with them and the way after its processing the data carelessly. We can see clearly what Aircel is upto. 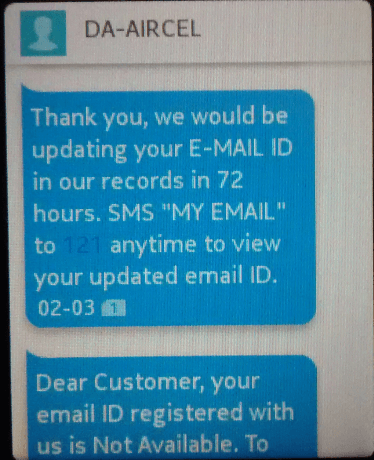 Even after updating our details Aircel says the same story again and again. This shows the way Aircel cares for customers data at least in storing them, leave the utilization part aside. If they are not interested to do something why users are asked to update their information? Are users fools to update the same with them wasting their time? And those Operators who show off that they are having customer’s details – please utilize it for better communication with users. 1. 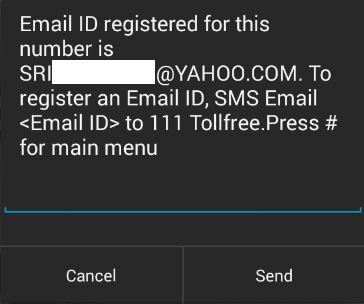 What idea cellular has done is a good way to utilize the data collected from users. Informing users about the complaints raised , their status and communication (idea does this via sms also) but an email may make it with complete details available for users. 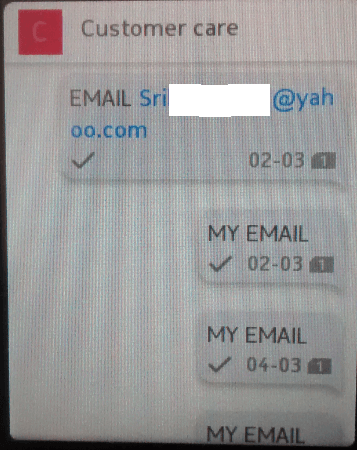 2.E-mail acts as a best possible way to reach out to premium customers and it solely depends on the way any company acts to customize that experience.Companies can even send a monthly or quarterly mail to users informing about their minutes of usage and the amount they spent on Top ups/Rate cutters etc. so that users will actually get an idea on their usage statistics and can opt for Postpaid if required based on their usage patterns. 3.TRAI has a guidance that Prepaid users should also be provided with their call details on request with some charges charged to customer. Operators if effectively stored email data can really provide requested users with soft copy of those details. 4.Even Operators can promote their services, Latest offerings and various USSD/SMS help line numbers via email communication.After all any operator will spend hefty on marketing just to reach customers and it should impact customers to use their services. This can be a good way to do so and more over certain group of customers can be given customized touch in emails as well. Dear Prepaid users, have you anytime experienced or experiencing such sort of email communication with your operator? I may not be sure about if this is happening in all the circles. Do let us and other readers know via comments if you are experiencing such communication regarding your details update or any email communication because its the service that matters. In CAF..i just sign ..i sign also on my ids nd photo..thats it nd i get my new sim..